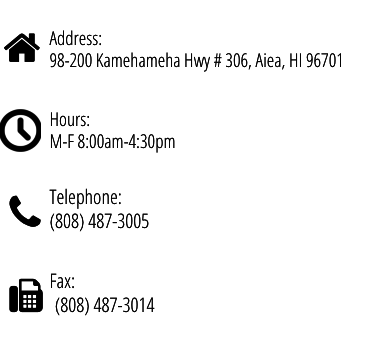 Work with Reuben Wicklund CPA, Inc in Aiea, Hawaii to find helpful services and answers to your questions regarding your taxes and finances. We are more than happy to help you as an individual, or a business owner with any bookkeeping, consultation, planning, and accounting you require. Let us worry about the numbers, so you can enjoy life in our Aloha state. Companies need financial statements for a variety of reasons and we are here to help. We can assist in turning your books into accurate and current financial statements. Many times owners have too much on their plate to keep their books up-to-date. We will be able to help through personalized advising and up-to-date bookkeeping. We are also certified QuickBooks online Proadvisors. We offer payroll services with many options tailored to what your company will need. We can assist you with individual, partnership, corporate, and fiduciary returns. We have been in business for over 30 years and love what we do. Again, we do everything with a personalized touch. If you're a contractor that needs financial statements, we can help. Give us a call and we can accomplish what you need in a short period of time.